Rabbi Leah Novick is a pioneer in restoring the Divine Feminine to contemporary Judaism. She is active in the Jewish Renewal movement and leads workshops around the globe. In a time when the world yearns for peace and harmony, the Divine Feminine beckons us to disarm our hearts. In a time when ecological catastrophe threatens the planet, the Divine Feminine calls us to a loving relationship with Mother Earth. In a time when prejudice and hate rear their ugly heads, the Divine Feminine knits us together as a large and inclusive family. In order to help us connect with the Shekhinah, Novick has created a wonderful series of visualizations. In a series of chapters under the umbrella of “Shekhinah in the Tapestry of Time,” Novick covers the Hebrew Matriarchs (Genesis); Divine Presence in Nature (The Desert Experience); Encountering the Pagan Past (Canaan); Divine Mother Comes Home (Temple); The Ethical Mother (Babylonian Exile); Divine Light and Prayer (The Medieval Years); The Feminine on the Tree of Life (Kabbalah). Then in four chapters she covers Shekhinah as Shabbos Queen, her return to humanity in early Chasidism, her role in the return to Zion and the land of Israel, and her significance in contemporary Jewish feminism. In the last five sections, the author hits high stride delineating ways in which Shekhinah is present in birth, death, and reincarnation; love and sexuality; in dreams; in the New Moon, and in spiritual healing. “The Zohar considers women to have an inherent connection with Shekhinah. In fact, men are supposed to marry so that they can have their connection to the Divine Presence assured through their wives. 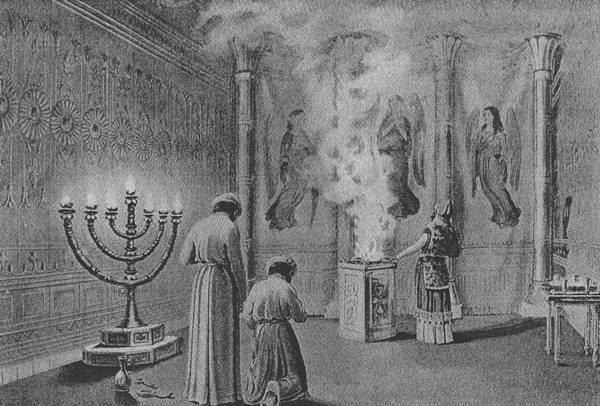 In effect, the kabbalistic attitude suggests that women receive their spiritual energy biologically, with only a few religious ritual obligations. Men, on the other hand, are required to work at it, with devotion, ritual, and prayer three times a day.” Food for thought for all us and most especially for all those who oppose the ordination of women!